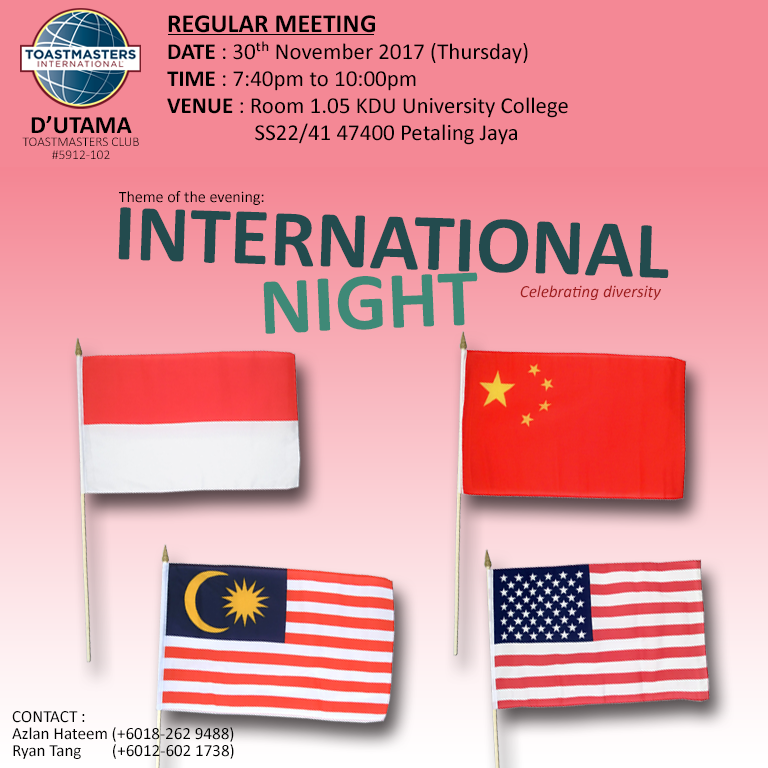 Ladies and gentlemen, D'Utama Toastmasters Club is going international this Thursday! Speakers from around the globe are going to share their ideas and speeches for your enjoyment. 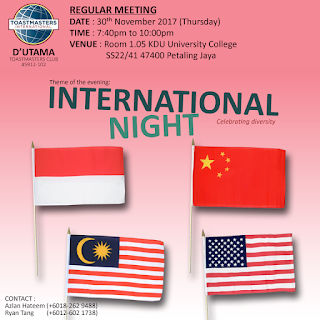 With the theme of "INTERNATIONAL NIGHT", we are going to celebrate diversity by having speakers from Indonesia, China, USA, and Malaysia to deliver their speeches right here at Room 1.05, KDU (DJ). Come! Join us for a night of engaging speeches delivered from around the globe. Eat, laugh, and build meaningful connections. Perhaps, you could even ignite your PASSION for public speaking. 3. Honest feedback and suggestions for improvement in the Speech Evaluations session.